The Shield-Shaped Team Hockey Awards are an action-packed recognition of your team's hockey achievement! 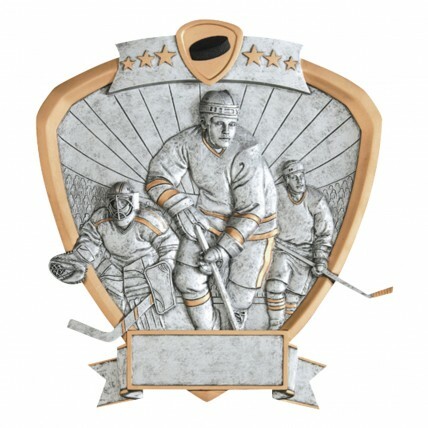 This beautiful resin award features a 3-dimensional hockey scene with pewter tone and gold accents. This hockey award will look great hung on your wall, or displayed on your desk by attaching the included metal rod.